One of the best parts about owning a pool is the ability to share it with others. Whether you are hosting barbecues for your colleagues, having your kids or grandkids over for a visit, or just letting your dog play in the pool – you want your pool to be healthy and enjoyable for everyone. Knowing that your pool looks great, feels good, and most importantly won’t get people sick, can make all the difference between a pool that sparks joy and one that is forgotten and ignored. 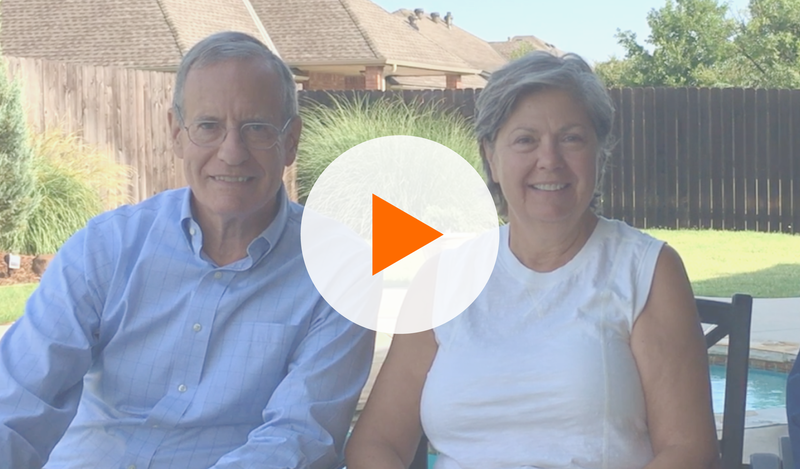 After a disappointing experience with a saltwater pool system, Rob and Cheryl Garibay of Oklahoma decided to try Clear Comfort’s hydroxyl-based AOP system and they haven’t looked back. Rob and Cheryl live in Norman, Oklahoma, where the summers can get extremely hot and humid. Yet they enjoy their pool so much that they spend almost every day in the backyard. As a business coach, John invites more than 50 clients to their house every year for an Independence Day pool party to swim and grill. Even their dog, Sweat Pea, loves swimming and playing in the pool. The Garibays originally had a salt system that came with the pool when they bought the house, but after 5 years they were sick of the overpowering chlorine smell it created. 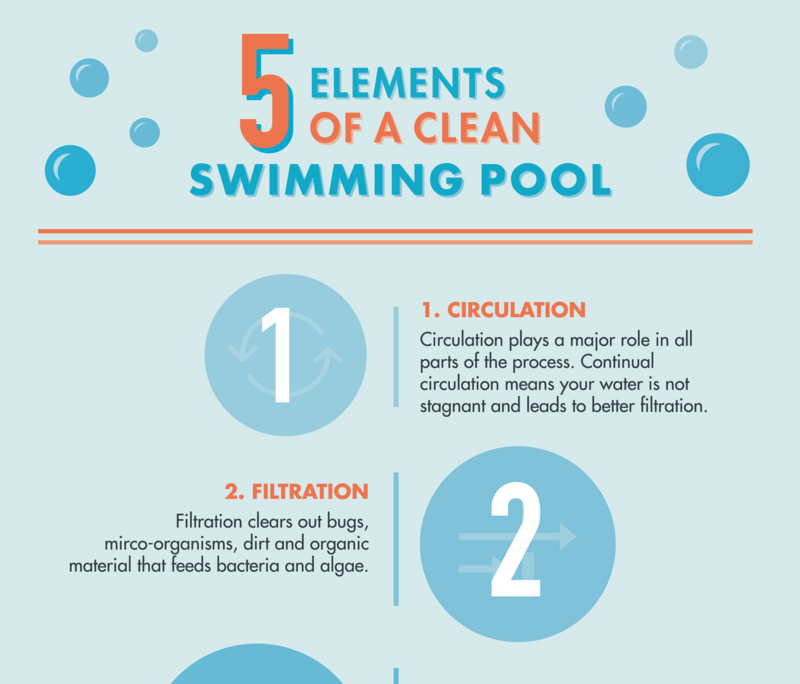 A common misconception about salt water systems is that they are different from chlorine, but in fact, they are just a different way to produce chlorine in a pool. Rob and Cheryl decided they wanted to switch their saltwater system with something better, and with the help of their pool service technician, John Lockhart of Lockhart Pools, they installed the Clear Comfort CCW100 on both their pool and spa. They now run their pool completely chlorine-free, with occasional non-chlorine shock treatment. The Garibays love their Clear Comfort system because it gives them the best water with the least amount of chemicals. The system works by pulling in air from the surrounding environment and converting that O2 into O1, or atomic oxygen, and directly injecting that O1 into the water in the pipes of the pool. When that highly reactive atomic oxygen interacts with hydrogen in the water (H2O), it creates a natural chemical reaction that produces hydroxyl radicals. Hydroxyl radicals are the most oxidative substance that is safe for pool use and is one of the natural oxidizers found in the Earth’s atmosphere. Once they are created by the Clear Comfort system, they quickly and powerfully oxidize the water killing contaminants and disinfection byproducts in seconds. Then, they convert back into oxygen molecules and dissipate in the pool, leaving behind no toxic residue whatsoever. Salt systems, UV systems, and ozone systems have traditionally been the popular alternatives to basic chlorine-only pools. But the newer AOP technology, or advanced oxidation process, has quickly proven itself to be the best option on the market when it comes to water quality and chemical reduction in pools and spas. Clear Comfort has separated itself from other AOP manufacturers because it uses a unique, patented method of producing hydroxyl radicals. This patented method is able to treat more water – and treat it better – by producing more hydroxyls than any other AOP method. Other AOP systems combine UV and ozone to produce hydroxyls, which requires complicated maintenance such as changing wet UV lamps. The fact that two different systems are used means that more can potentially go wrong, and the cost of repairs will likely be much higher. The Clear Comfort AOP system, on the other hand, is made up of one single system that skips the extra steps and simplifies the entire process. Rather than combining UV and ozone for pool sanitation, Clear Comfort directly injects atomic oxygen into the pool, producing hydroxyls in the most efficient and effective method possible. The system is dry and never needs to be underwater, and the only required maintenance is a yearly cartridge exchange that can be done in under 10 minutes, without any prior training or skills. This is a game changer for anyone that has ever had to perform maintenance on or repair an ozone-UV combination system, which can be complicated, time-consuming and expensive.